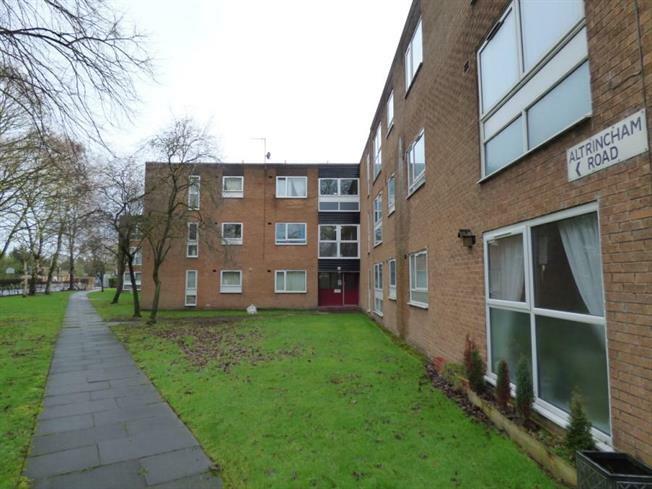 1 Bedroom Flat For Sale in Manchester for Offers Over £90,000. A first floor spacious apartment in this popular location close to Timperley village. The accommodation comprises of a communal entrance hall with stairs to the first floor landing, leading to a private entrance hall with large store room, living room, kitchen, bedroom and a bathroom. The flat also benefits from off road parking and well maintained communal gardens. Ideal as a first home or investment.